Welcome to my May Ramblings. It’s time again to get a look into what inspires me. As well as a peek behind the scenes of Shugary Sweets! Grab your cup of coffee and relax with me for a bit! So last month in my April Ramblings I announced that we are moving back to Illinois this summer. Well, in just a few short weeks we sold our house! I’m so excited. And busy. HA! We are picking our new house this weekend. No pressure, right? If you follow me on Instagram I’m sure I’ll be sharing my adventures! Plus, hopefully we indulge in some delicious Chicago pizza and Portillo’s Italian Beef! Oh, I will never take the food in Chicago for granted ever again! Before getting to the recipes this month, I want to share a quick announcement. 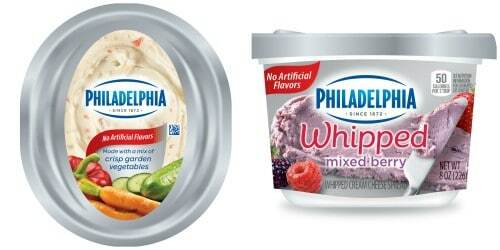 Many of you who follow my blog know that I am a brand ambassador for PHILADELPHIA Cream Cheese. It’s the perfect partnership because I absolutely love their products. Now there is even MORE reason to love their products. PHILADELPHIA now has MORE fruits and vegetables in their popular spreads. The Garden Vegetable and Whipped Mixed Berry are my family’s favorites! I love using the garden vegetable in our mashed potatoes. Just boil and peel your potatoes, drain and add a tub of the PHILADELPHIA Garden Vegetable. Mash and enjoy! Keep an eye out for these in your stores, they are on shelves now! 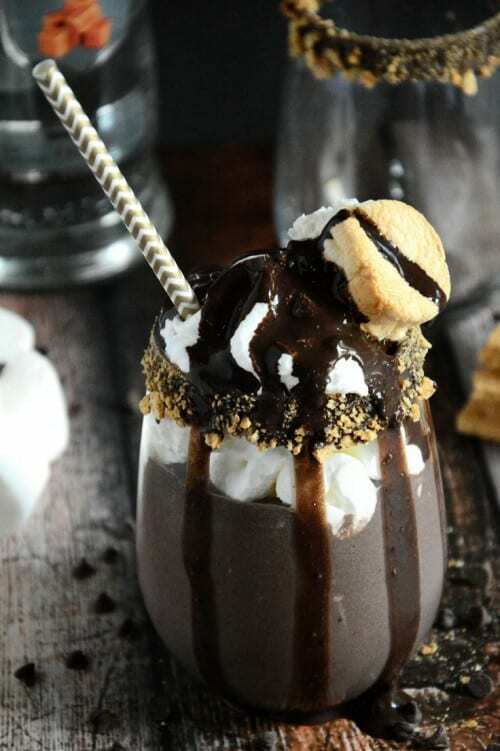 Tipsy Caramel S’mores Milkshake from The Housewife in Training Files. Seriously, I love everything about this milkshake! It’s almost too pretty to drink. Almost. 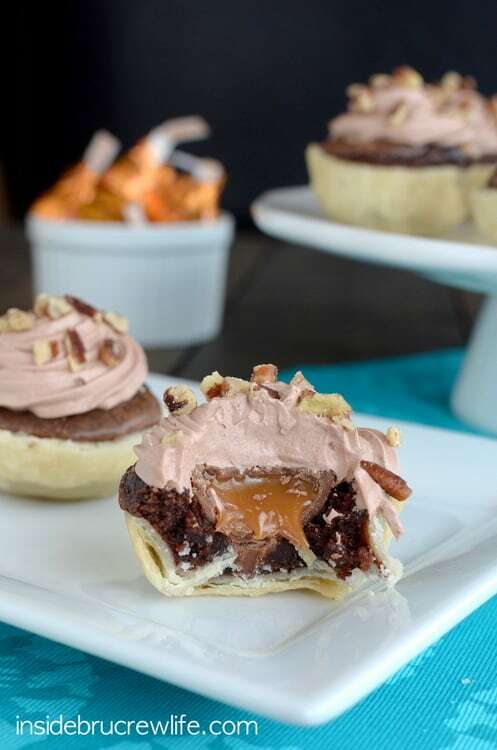 Caramel Pecan Brownie Bites from Inside BruCrew Life. The layers in this one bite look incredible! Plus, Rolos are by far one of my favorite candies! 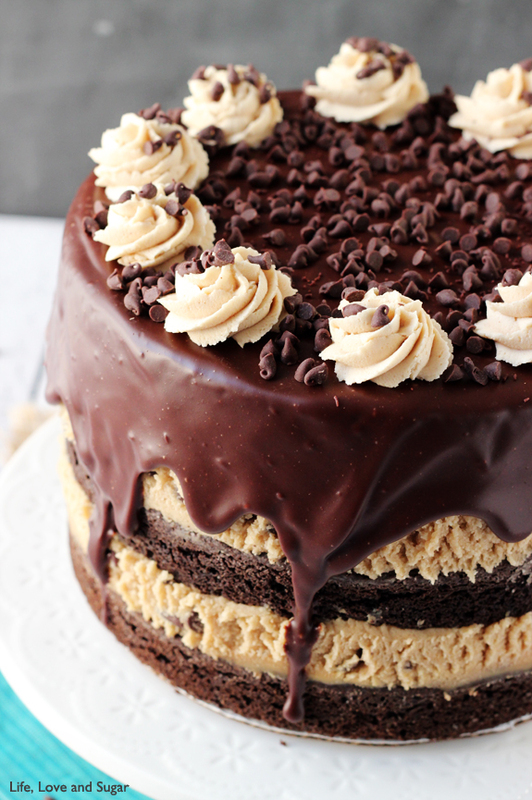 Peanut Butter Cookie Dough Brownie Cake from Life, Love and Sugar. Every post of Lindsay’s I drool over. This one I’m a bit more obsessed with, and it’s going to be made soon. 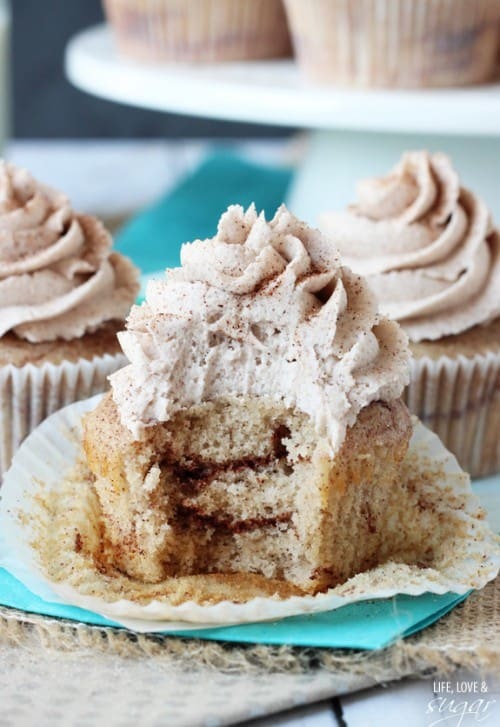 Cinnamon Sugar Swirl Cupcakes from Life, Love and sugar. See what I mean about Lindsay? Another drool worth photo and recipe. I’m obsessed with her blog! 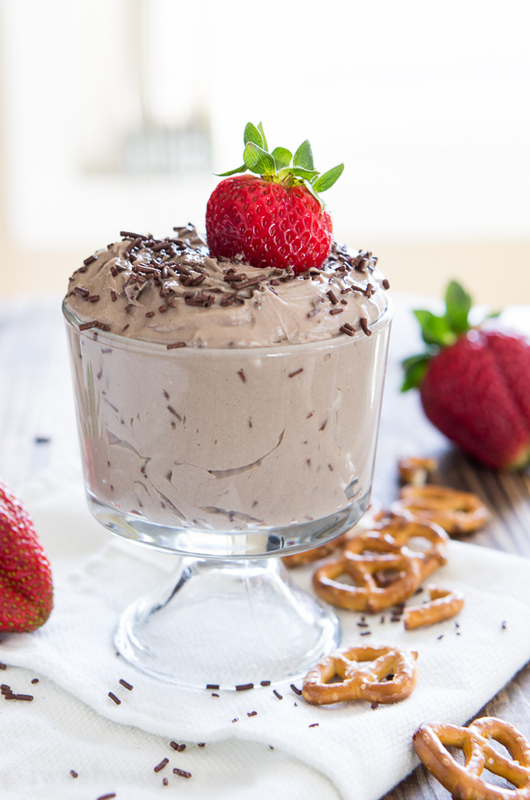 Chocolate Cheesecake Cake Batter Dip from I Wash, You Dry. 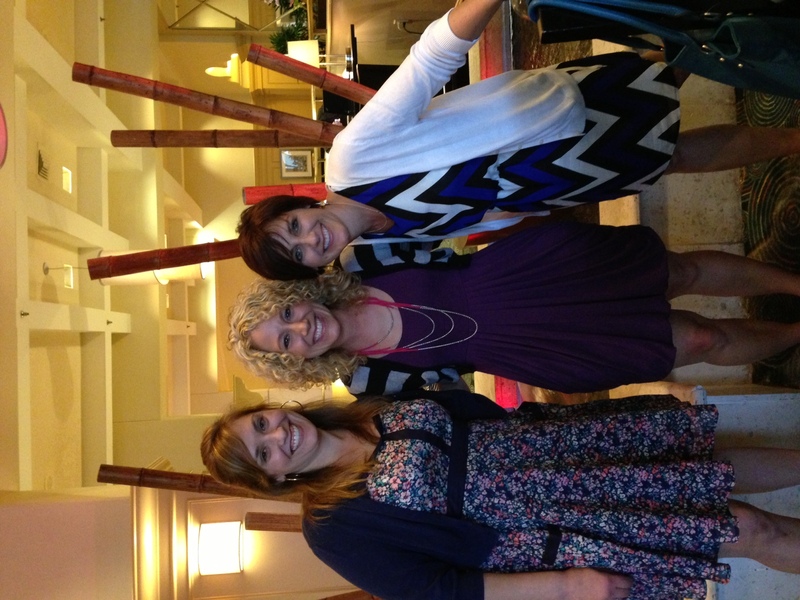 Shawn is just as adorable in person as her desserts are on her blog! This dip is calling my name!! 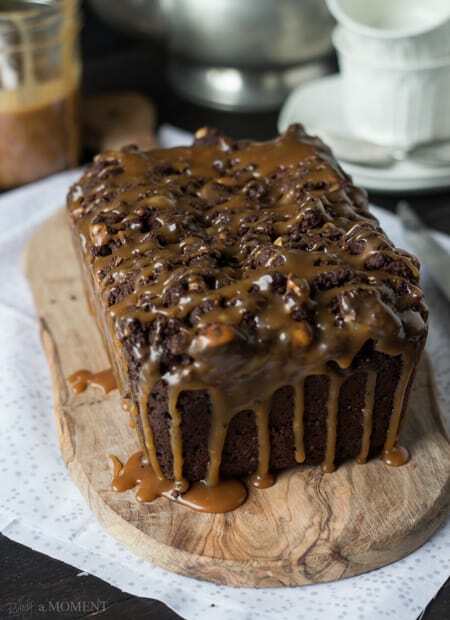 Chocolate Hazelnut Streusel Bread from Allie at Baking a Moment. I have no words. I just have drool. 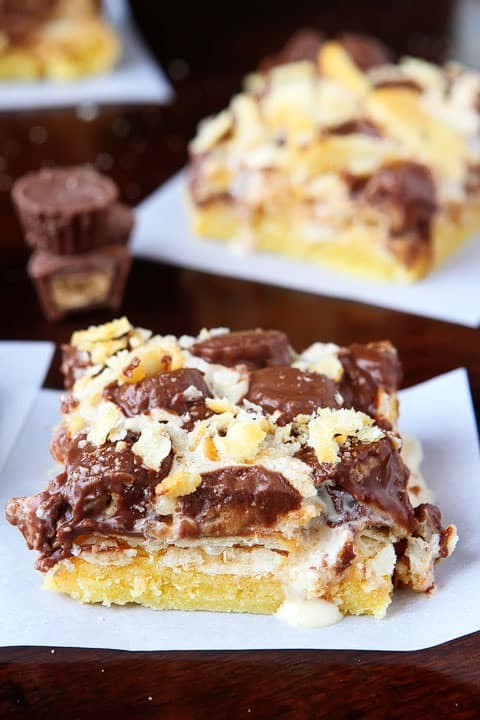 Gooey Ritz Peanut Butter S’mores Bars from Kevin and Amanda. Look at these bars? Peanut Butter, Chocolate. Marshmallow. I’m seriously in love!! 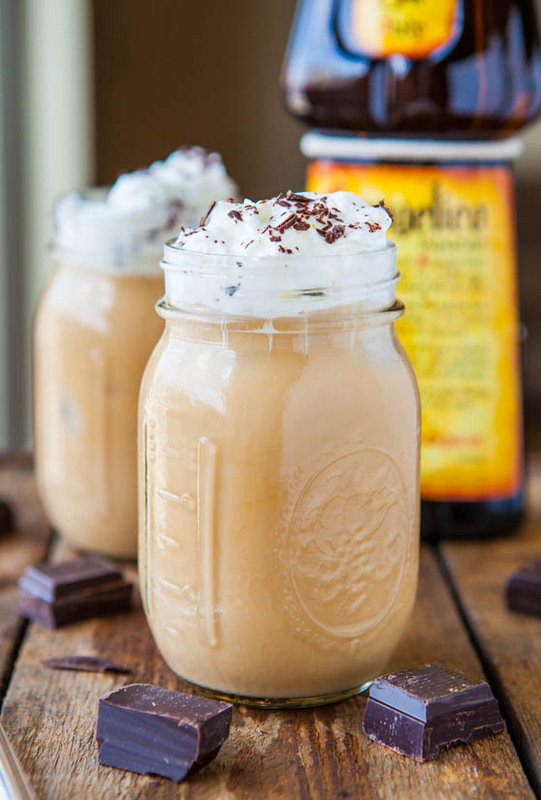 Boozy Iced Coffee from Averie Cooks. I love how simple, yet refreshing this coffee looks! Tis the season for some dessert coffee drinks! Chicken Tortilla Stack from Taste and Tell. I have to include a couple dinner recipes in this roundup and Deborah never fails to inspire! 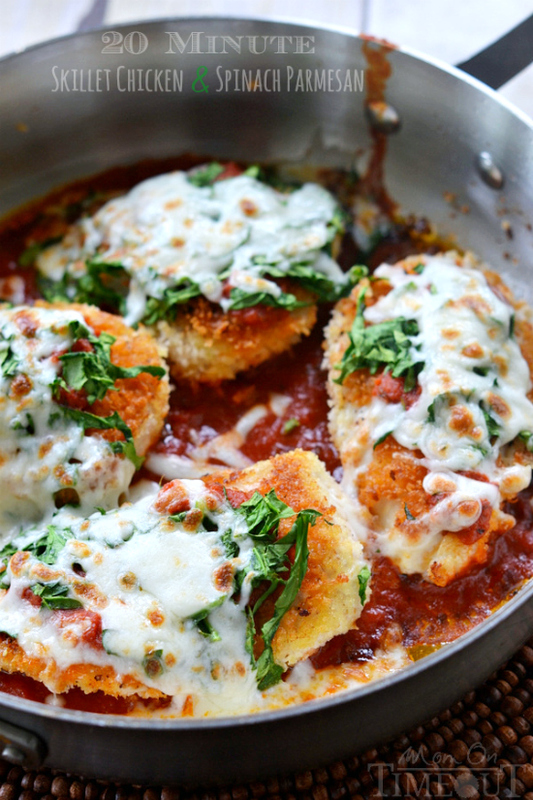 Easy 20 minute Skillet Chicken and Spinach Parmesan from Mom on Timeout. Trish had me at “easy 20 minute” on this recipe. 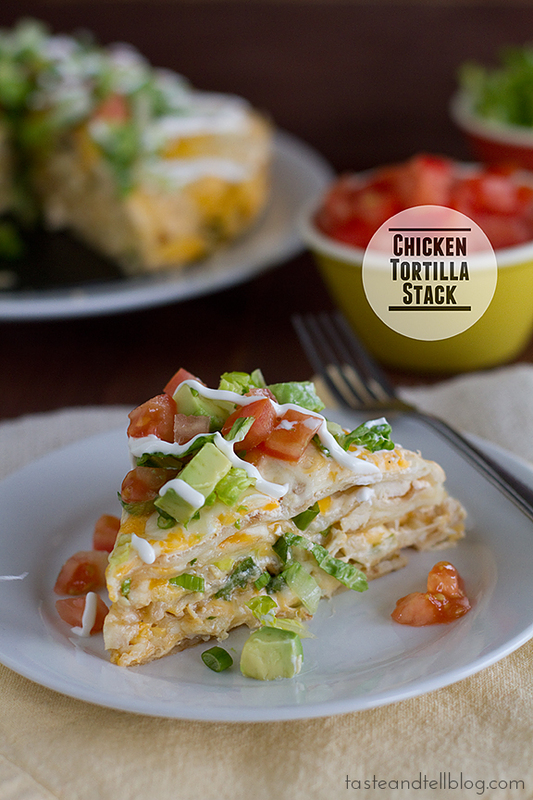 Perfect for our busy weeknight dinners! I gave some good traveling tips on the blog this month. If you’ll be flying this summer, you may want to check them out! I broke all culinary rules and topped these Banana Nut Scones with a VERY THICK layer of frosting. I didn’t forget to share a new biscotti recipe this month. If you love biscotti as much as I do, then I think you will LOVE this Lemon version! Just another monthly reminder (plug?) to sign up for StitchFix! I am sure you’ve heard me talk about this in previous ramblings! Basically, it’s clothing for the lazy shopper. Okay. So that might not be the best description. But you sign up and each month (or however often your request delivery, just once, monthly or whatever) and they send you 5 items. You get 3 days to try these on, in the comfort of your own home. Matching them with clothes already in your closet, or shoes and accessories. This is so helpful for me! If you choose to keep it all, great, you get 25% off everything! If you decide to return anything, they include a postage paid bag (just stick it in your mailbox for the postman to pick up)! I’ve collected some great pieces this year. 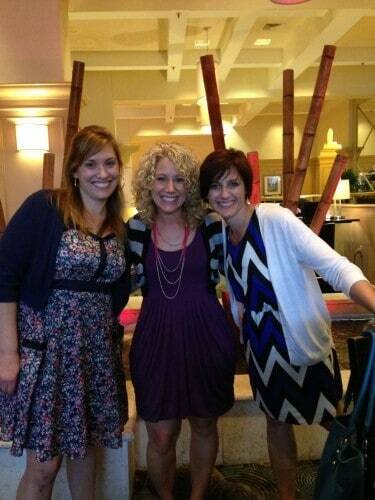 Including the Chevron Dress above! You also get credits for people who sign up, so thank you if you use my referral link! Sign up TODAY! That’s all for this month! See you all in June! Be sure to connect with me on Social Media! There may be affiliate links in this post. See my disclosure policy for more information! I am a brand ambassador for PHILADELPHIA, all opinions are 100% my own. I loved reading this post and those recipes are looking amazing! Hey! I just saw on Twitter that you are moving to Chicago. . congrats! My family and I moved from Seattle to Madison, WI last November. . I can only imagine how busy you are but try to get lots of sleep and remember to breathe! 🙂 house hunting will be so fun. . hoping you find a wonderful new home where you and your family can build lots of wonderful new memories in! Cheers! and TGIF! Thank you so much Alice!! Wow, you had quite a move! Veggie cream cheese is my fave, but that mixed berry looks like ice cream. Heavenly! Also, that skillet chicken looks like the PERFECT dinner! ice cream, that’s a great way to describe it!! Oh my goodness! I want it all. Whoops! All fixed, thanks for catching that!! I add links to a “secret” pinterest board throughout the month. I’ll have you know there are TWO other links of yours in there. You rock my friend. YOU rock. I feel so honored that you have chosen my Smore’s milkshake…that is definintely our favorite treat!! Loving all your rambles here and I am going to have to look into this StitchFix thing!!! OMG your milkshake. I’m dying. Your photography is so stunning, I want to reach right through my screen!!! I have to go check Lindsay out … that cake, I really have no words. 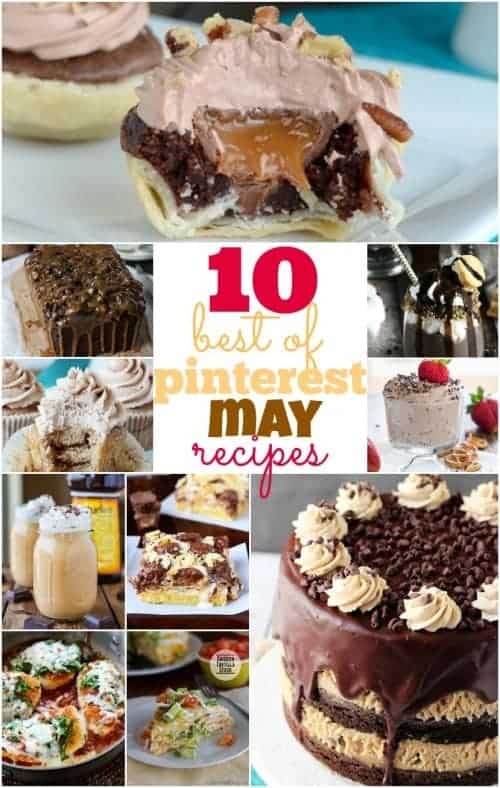 You’ve rounded up some amazing recipes! I cannot believe May is over. Crazy! I hope house hunting goes quickly and smoothly for you! so exciting-good luck house hunting!!!! Love your chevron dress, love that Philadelphia has more fruits & veggies in their spreads (funny fact: in Italy, there’s no word for cream cheese. They just call it Philadelphia-hee! ), LOOOVE all the yum in this post! Thanks for the link love, friend!! And now I have about 15 links that I need to bookmark. 🙂 My kids have a bagel and cream cheese almost every morning – I need to get that whipped berry one next time!! That is definitely a whole lot of deliciousness going on! Good luck on finding a new home! !